TOKYO, Japan, January 2015 – Honda Motor Co., Ltd. unveiled at 2014 Los Angeles Motor Show and 2015 Detroit NAIAS, a concept car for an all-new fuel-cell vehicle, the Honda FCV Concept (FCV) and the Honda Power Exporter Concept, a concept model for an external power feeding device that enables AC power output from the FCV with maximum output of 9 kW*1. 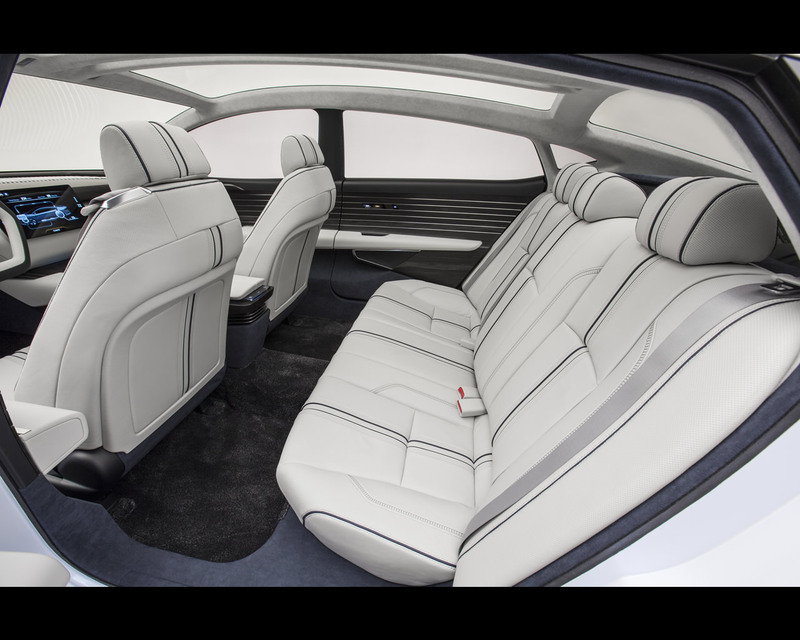 The interior of the car has finally been unveiled. The drastic reduction in fuel cell stack compared to 2008 Honda FCX Clarity allowed to locate it under the hood rather in the central tunnel. It allows now five seats arrangement. 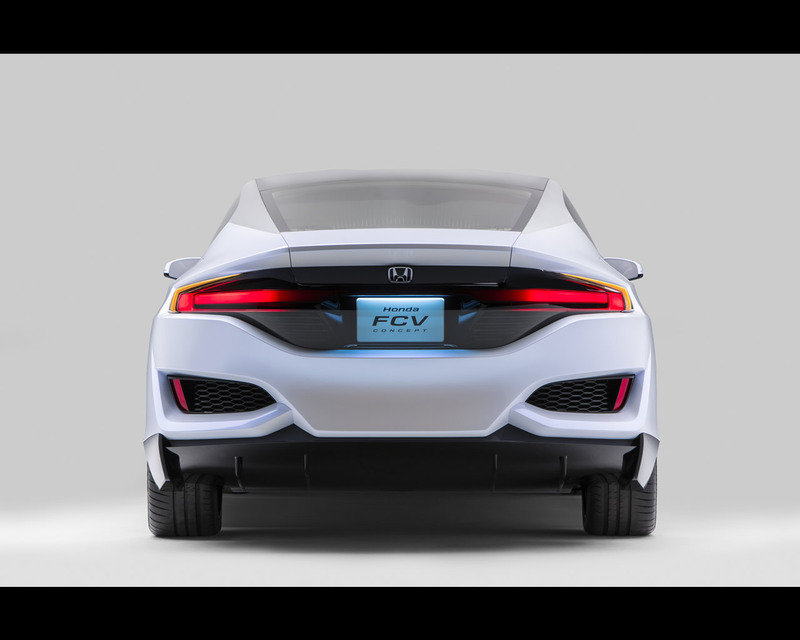 The all-new FCV production model that will be based on this concept is scheduled to go on sale in Japan by the end of March 2016 and subsequently in the U.S. and Europe. 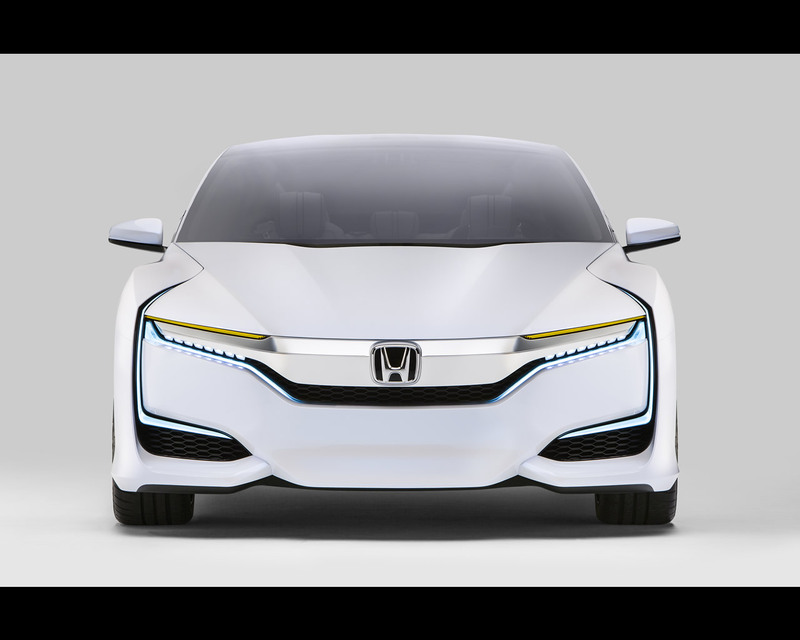 The Honda FCV was originally announced to go on sale in 2015 in replacement of the Honda FCX Clarity introduced in 2008 for customer trials around Hydrogen highways in Japan, the U.S.A. and Europe . The newly-developed fuel-cell stack installed to this concept car is 33% smaller than the previous fuel-cell stack and yet achieves output of more than 100 kW and output density as high as 3.1 kW/L, improving the overall performance by approximately 60% compared to the previous version of the fuel-cell stack. In addition to the FCV and external power feeding device, Honda will further promote the application of the Smart Hydrogen Station (SHS) - a packaged hydrogen station unit that adopts Honda’s original high-differential-pressure electrolyser. 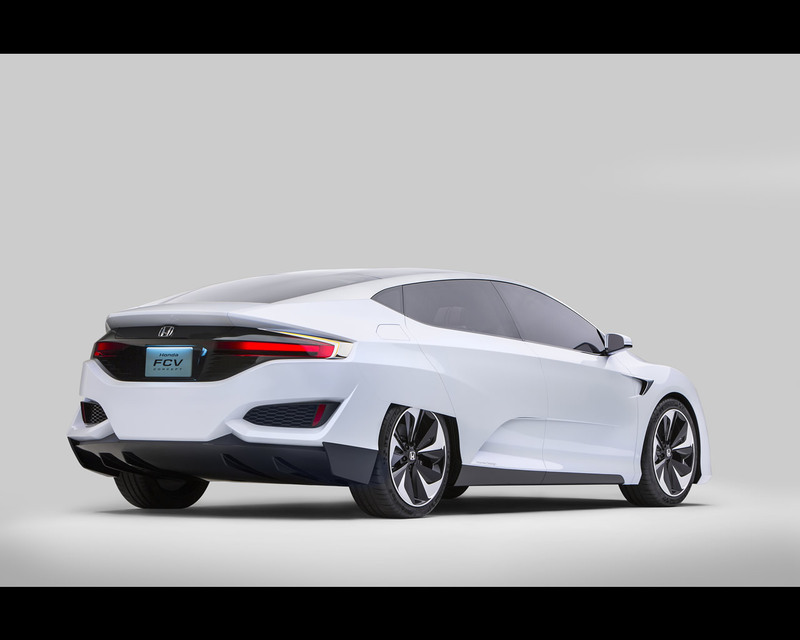 In this way, Honda will work toward the forthcoming hydrogen society under three key concepts – ‘generate’, ‘use’ and ‘get connected’ – and continues to pursue a CO2-free society. In 2002, the Honda FCX became the first*2 fuel cell vehicle in the world to be certified by the U.S. Environmental Protection Agency (EPA) and the California Air Resources Board (CARB). With these certifications, Honda began lease sales of the Honda FCX in Japan and the U.S. 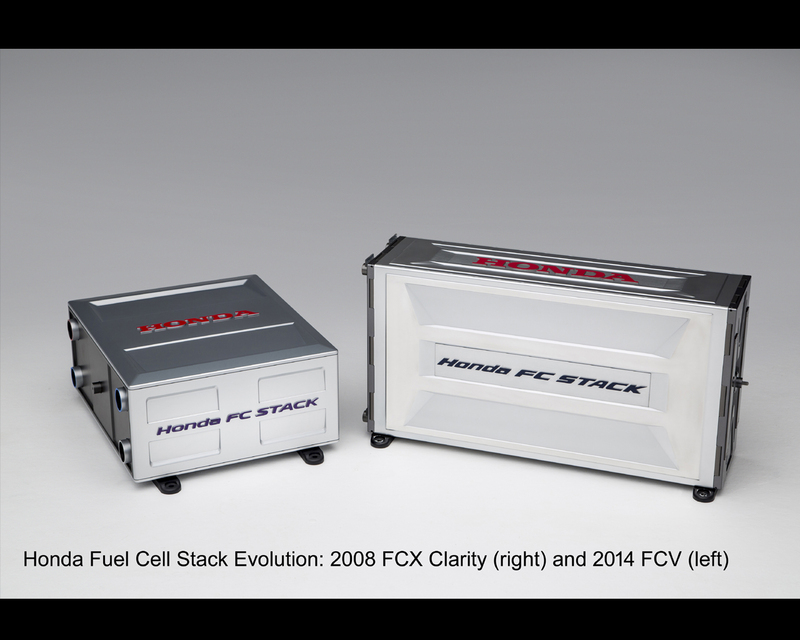 In 2003, Honda developed the Honda FC STACK, the world’s first*2 fuel-cell stack able to start at below-freezing temperatures. Then in 2005, Honda became the world’s first*2 to begin lease sales of FCVs to individual customers in the U.S. In 2008, Honda began lease sales of the FCX Clarity, an unprecedented fuel-cell vehicle that offers not only the ultimate in clean performance, but also new values and the appeal of a car, including an innovative sedan-type package and driving feel that is far beyond conventional vehicles. As demonstrated by this track record to date, Honda has been a leading company in the field of FCV development, amassing real-world data through lease sales in Japan and the U.S., including actual feedback from individual users and also driving data from the vehicles. 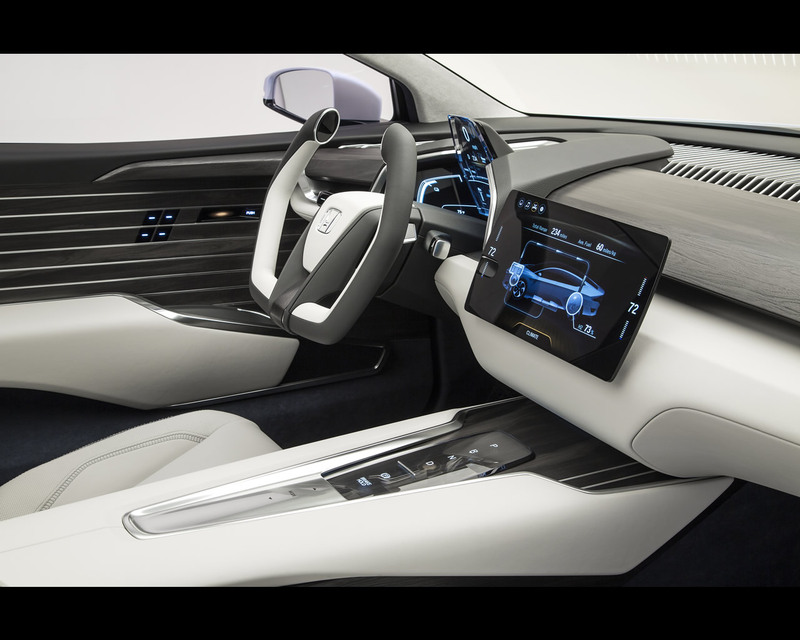 The Honda FCV Concept is a concept car for Honda’s next-generation FCV, a successor model to the FCX Clarity, with which Honda strives to achieve a further improvement in performance and a reduction in cost. At the European level, Honda is involved in a number of Hydrogen-related programmes both at a national and Europe-wide level. In 2011 Honda joined the German Demonstration Project, “Clean Energy Partnership” (CEP), which at the time was Europe's largest demonstration project for hydrogen mobility. In addition to around 100 fuel cell cars that are currently on the road as part of the project, the CEP is testing the operation of hydrogen-powered buses for public transport. The aim is to test the suitability of hydrogen as an alternative fuel for everyday use and help prepare the market for the introduction of fuel cell vehicles. This includes the sustainable production of hydrogen and the development of a hydrogen infrastructure. By the end of 2015 there will be 50 hydrogen filling stations in Germany, making it the world's first country that has a basic supply network. Hydrogen-powered electric mobility is an opportunity for Germany to expand its leading international position in the field of pioneering fuel and drivetrain concepts. IN 2011, in Germany, Honda joined leading industrial companies, in the joint initiative, H2 Mobility, as an Associated Partner, with the primary focus on deploying the hydrogen refuelling network in Germany. By the year 2023, the current network of 15 filling stations in Germany's public hydrogen infrastructure shall be expanded to about 400 H2 filling stations. The Partners, Air Liquide, Daimler, Linde, OMV, Shell, Total, together with the National Organisation for Hydrogen and Fuel Cell Technology (NOW GmbH), the intention is to lay the groundwork for the commercial introduction of electric vehicles with fuel cell powertrains. New Hydrogen Refuelling Stations will be located in the existing hydrogen regions, in which there are existing sites of different mineral oil companies: Berlin, Hamburg and Stuttgart as well as along the new integrated North-South and East-West corridors. The goal is the establishment of a nationwide network of hydrogen fuelling stations in Germany. 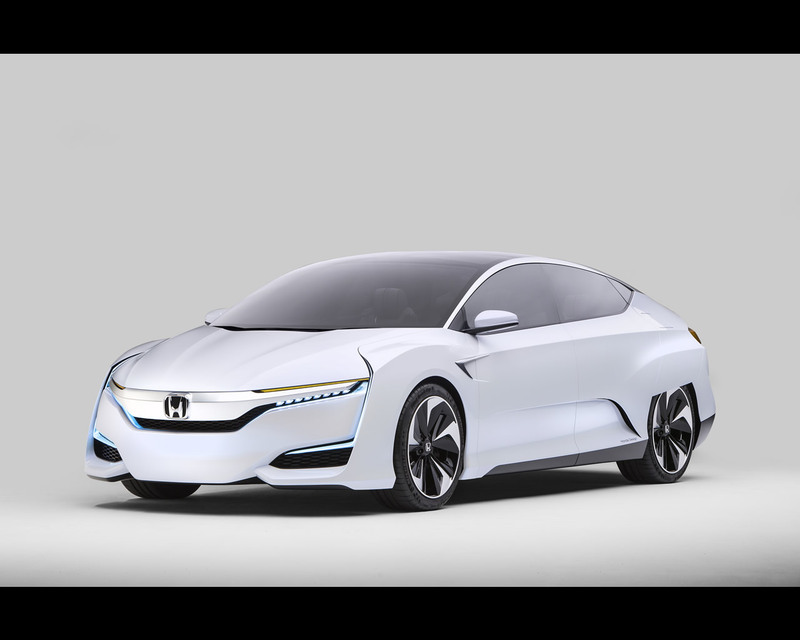 In the United Kingdom, Honda joined the UK H2 Mobility project, which was established to determine the needs for the commercial deployment of hydrogen Fuel Cell Electric Vehicles (FCEVs) in the UK from 2015. It is a collaborative project evaluating the potential for hydrogen FCEVs to provide environmental and economic benefits to the UK. It is evaluating the potential for hydrogen to contribute to the decarbonisation of road transport, as well as the opportunities that can be derived from being a leading global player in the development, demonstration, manufacturing and use of new technologies. The project brings together industrial participants from the fuel cell technology, energy utility, industry gases, fuel retail and global car manufacturing sectors together with a European public-private partnership, three UK Government Departments, the Devolved Administrations and the Greater London Assembly to develop a business case and strategic plan for the commercial roll-out of the technology from 2015. 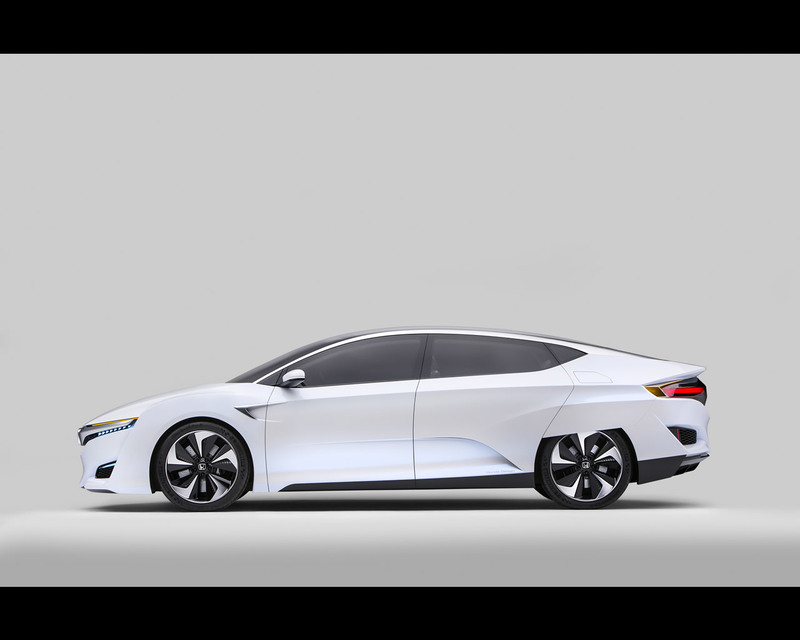 Honda’s participation enables it to work with the UK Government and other vehicle manufacturers and fuel providers to support a roll-out strategy for hydrogen transport in the UK as well as have a clearer vision of the UK opportunities. At the European level, Honda and other leading motor manufacturers, hydrogen fuel suppliers and energy consultancies from around the globe signed a €38.4m (£31m) agreement with the European Fuel Cell and Hydrogen Joint Undertaking (FCH JU). The project is coordinated by the Mayor of London’s Office, and its objective is to develop and demonstrate technology and infrastructure that will help fuel cell electric vehicles to become a viable and environmentally friendly option for European motorists in the future. The project, known as HyFIVE (Hydrogen For Innovative Vehicles), is the largest of its kind in Europe. Honda is one of five manufacturers who have agreed to deploy a total of 110 hydrogen fuel cell vehicles at several European locations and develop new clusters of hydrogen refuelling stations. Refuelling stations configured in viable networks will be developed in three distinct clusters by deploying 6 new stations linked with 12 existing stations supplied by Air Products, Linde, OMV, ITM Power and Copenhagen Hydrogen Network. For Honda, the HyFIVE project is a unique opportunity to showcase the advancements that Honda has made relating to fuel cell technology and fuel cell electric vehicle development. Honda is taking a proactive role in the HyFIVE project, including the provision of vehicles, identifying potential end users, developing service concepts and communicating FCEV activities to the wider public on national and local level.